A West Yorkshire weekly newspaper has won its fight to free a Thalidomide victim from jail in the Philippines after nearly 20 years behind bars. The Wetherby News launched a campaign last June to secure the release of former Wetherby man Billy Burton who was convicted in 1992 of trying to smuggle cannabis out of the country. The 48-year-old, who had faced the prospect of dying in jail, was conditionally pardoned by Filipino president Benigno S.Aquino III on Boxing Day. He had been back-packing around the world when he got into financial difficulty in the Far East. Aged 29, he was arrested at Manila airport carrying 12lbs of the drug and subsequently given a life term of a minimum 30 years. Initially, he was informed that he could expect to serve eight years before being considered for parole. 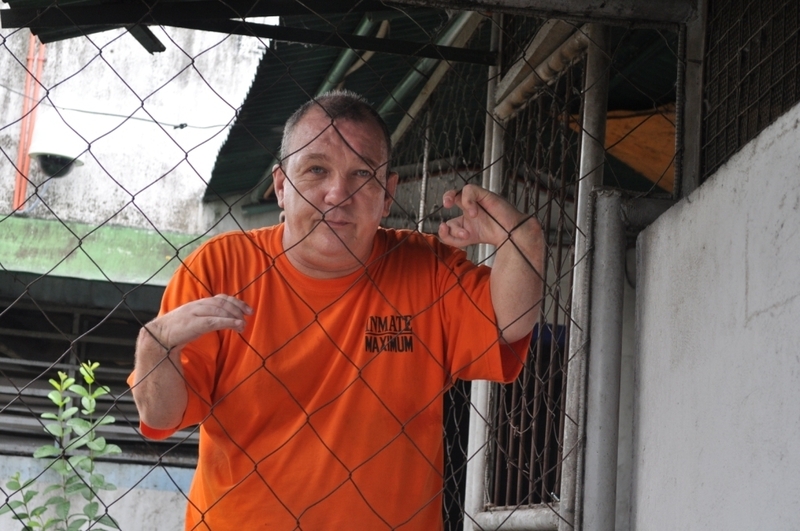 However, before he was eligible to apply, the Filipino government enforced an embargo on parole for all drug offenders and retrospectively increased their sentences, meaning Mr Burton would not be eligible for release until 2032. Reporter Andrew Groves picked up the story after chasing a routine email from one of Billy’s high school friends. He co-ordinated the campaign and wrote a number of articles from hard news to in-depth features, putting pressure on the Foreign Office and the town’s local MP to back the paper’s fight. Said Andrew: “It was extremely difficult to guage what the reaction to Billy’s story would be. “We had to be very careful with the drug aspect, and not hide the fact Billy had committed a very serious crime in a foreign country with harsh laws for smuggling. “But at the same time it was important to show Billy had admitted his guilt, served his time without complaint and should be given a second chance after making such a terrible mistake. Head of content for the Wetherby News, George Hinton added: “Andrew is primarily a sports reporter for all the titles in Ackrill Media Group but when he did a stint on news in our Wetherby office and got the lead for this story he really got his teeth into it. “He became the first port of call for the campaign figureheads whenever there was a development in Billy’s case. So he admitted to having a huge stash of drugs. He should rot in prison. If you take the risk, you do the time. It could have been the death penalty elsewhere. This paper wins the most ridiculous campaign of the year. We set free a convicted smuggler. Well done.